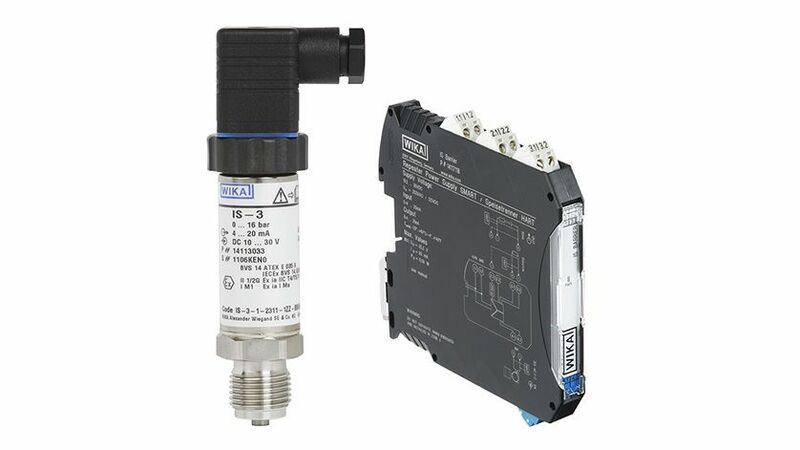 In my last article I introduced you to how the “basic” proof of intrinsic safety can be provided for instruments and pressure sensors approved to ATEX in Europe. Each installer or operator must ensure that the employees in the plant are not endangered and certainly not injured. Therefore, when using intrinsically safe protection methods, it must be thoroughly documented which instruments are used and how these are connected. This proof of intrinsic safety is made by checking the electrical safety data of the pressure sensor and the associated apparatus used against the intrinsically safe isolated barrier. If the proof fulfils the conditions mentioned below, then the interconnection is intrinsically safe and thus can be used in the system or machinery. on the intrinsically safe isolated barrier can be found on the WIKA Website.